Admittedly, I do not know a lot about Barry Goldwater, other than that he was a U.S. senator for many years, and was a general in the Arizona Air Force Reserves. 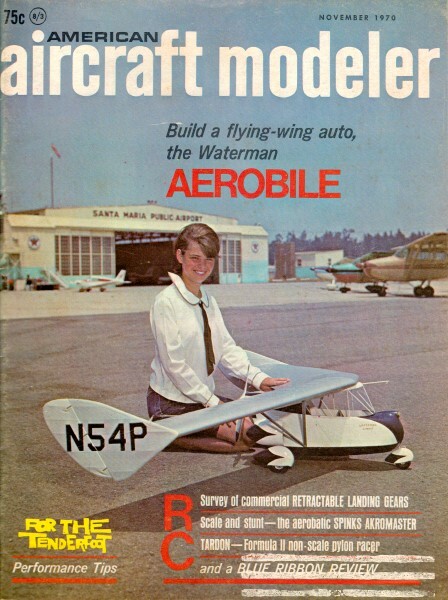 Until recently reading the letter to the editor of American Aircraft Modeler (November 1970), I was not aware that he was a very avid aircraft modeler. The letter was written by none other than Cleveland model's Edward T. Packard. "Heath's phasing out its kits 'leaves the amateur, like me, no place to turn,' said former Senator Barry Goldwater, who used to fly to Heath's headquarters in Benton Harbor, Mich., twice a year in his private plane to buy kits. 'It's just that people today are getting terribly lazy, and they don't like to do anything they can pay someone else to do,' said Mr. Goldwater, 83 years old, who has managed to wire up more than 100 Heathkits. 'I think the current generation is certainly missing out.'" Goldwater was also an avid amateur radio operator from the early 1920s onwards, with the call signs 6BPI, K3UIG and K7UGA.